A while ago, Dior released the new version of their Diorskin forever foundation. That foundation also comes with a new makeup primer. 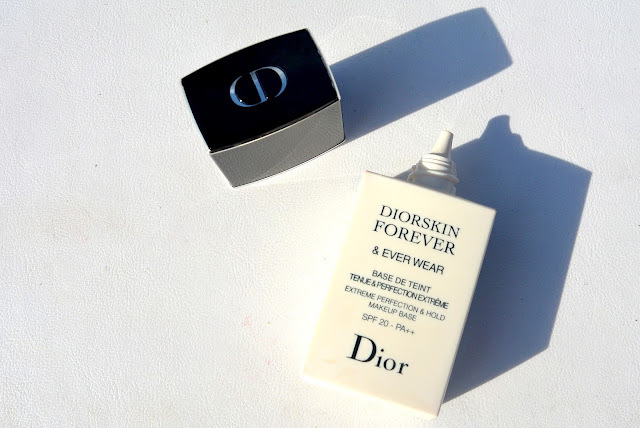 And that's what I will be reviewing today, the Diorskin Forever & Ever Wear. 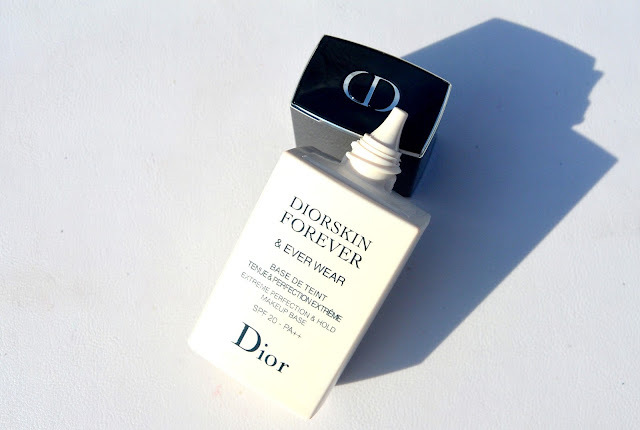 The Diorskin Forever & Ever Wear comes in a simple plastic tube. When you want to get the product out, you have to hold the tube upside down and squeeze a little. The packaging is simple but very practical. I had to make the background in my pictures a little darker or you couldn't see the product because the tube comes in a white color. The Diorskin Forever & Ever Wear is the first step for a perfect look. This product will also hold your makeup longer and keeps it gorgeous. The product has an instant retouching effect, which will even out your skin. This primer gets your skin ready for the following steps in your makeup routine. You apply it after your daycream, and before your foundation. When buying this gorgeous product (and a perfume: Miss Dior Blooming Bouquet), I got this lovely pouch from Dior. 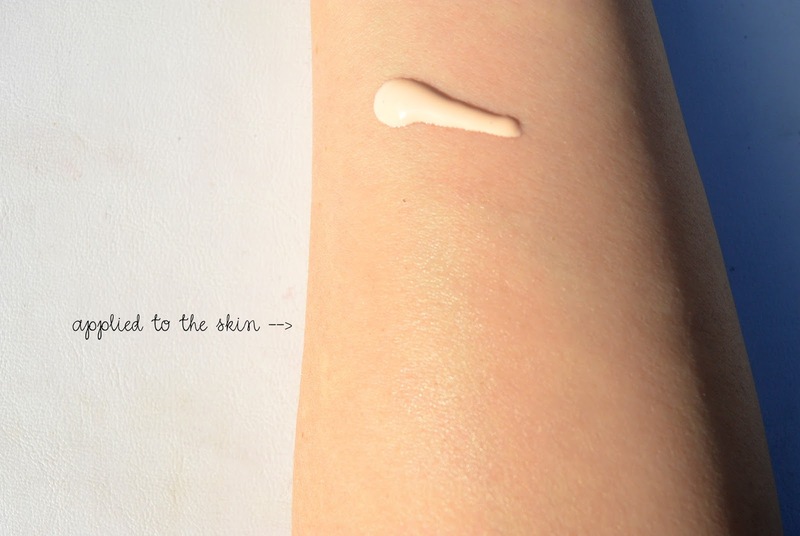 As you can see in the swatch above, Diorskin Forever & Ever Wear is a liquid primer, but it is non-greasy. I've applied the product to my skin where I've put the arrow. Do you use a makeup primer? If so which one do you prefer and why? Dior heeft écht zo'n fijne dingen altijd! Inderdaad! Ik ben echt fan van Dior producten! Ik heb nog nooit een primer van Dior geprobeerd maar hun andere producten zijn top. Ik twijfel dan ook niet aan de kwaliteit van dit product. Deze staat op mijn wishlist! Een beetje de perfecte all-in-one voor mijn foundation.